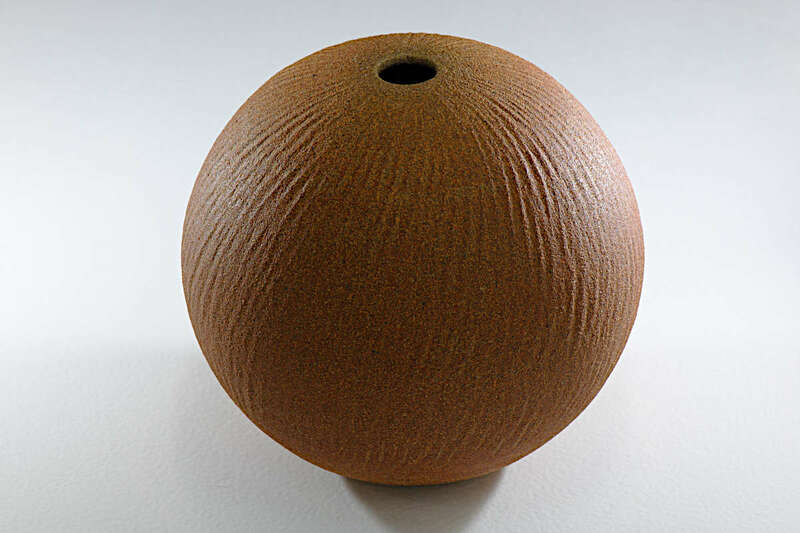 These Spherical vases are wheel thrown and made of Los Altos clay fired to 1280°C in reduction. Vases 1, 2 and 4 were variously sprayed and dipped in carbon trap shino glaze with copper oxide washes. 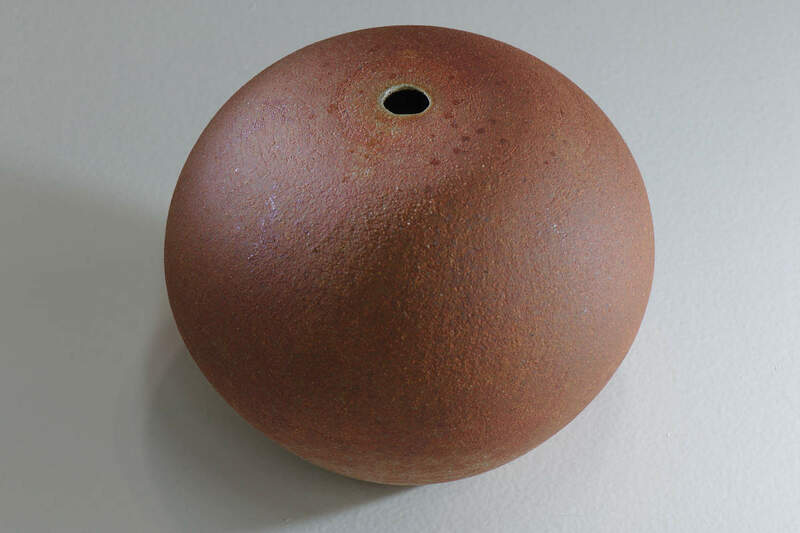 The exterior of vase 3 is unglazed. 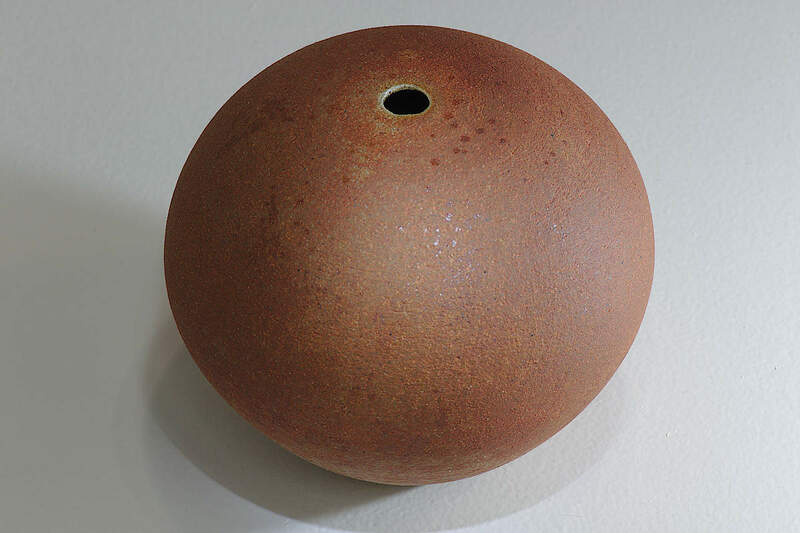 Firing unglazed Los Altos clay in strong reduction in a gas kiln causes the clay to react with the atmosphere in the kiln turning it a rich orange brown - when fired in oxidation the clay is a paler, yellow colour. 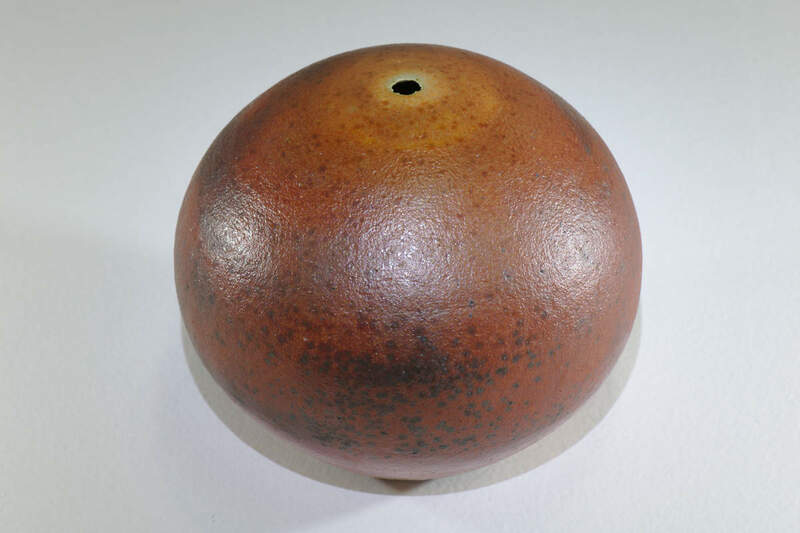 A clear glaze lines the interior so they may hold water. While they may be enjoyed purely as sculptural objects, they can be used as vases. 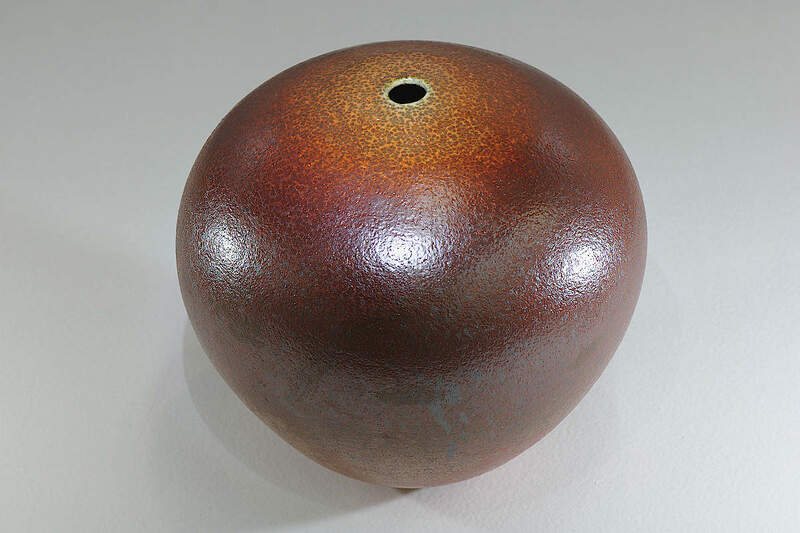 A type of glaze now known as American shino was developed in the early seventies by Viginia Witt, who, as part of a project set by the University of Minnesota to try and replicate early Japanese glazes, was the first to add soda ash to a shino type glaze. 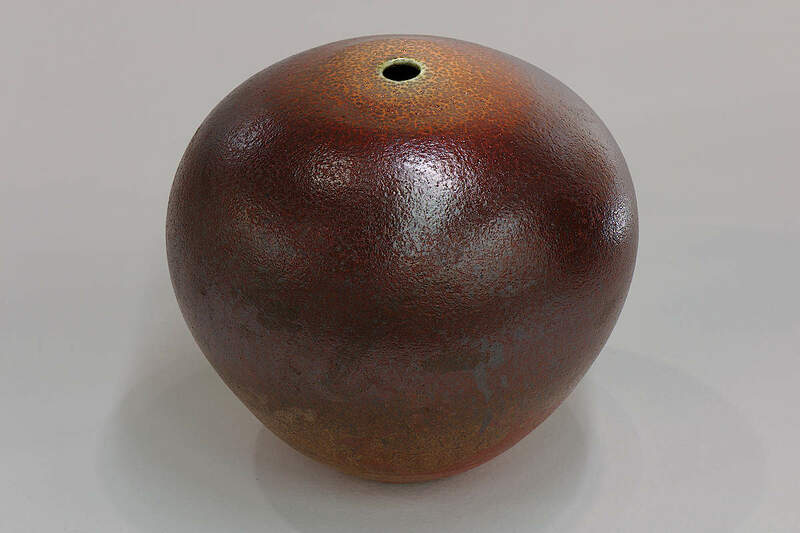 When fired in the reducing atmosphere of a gas kiln as the soda ash melts it traps the carbon from the atmosphere of the kiln resulting in the grey and black speckling of the glaze and also accounts for the peach coloured bloom. 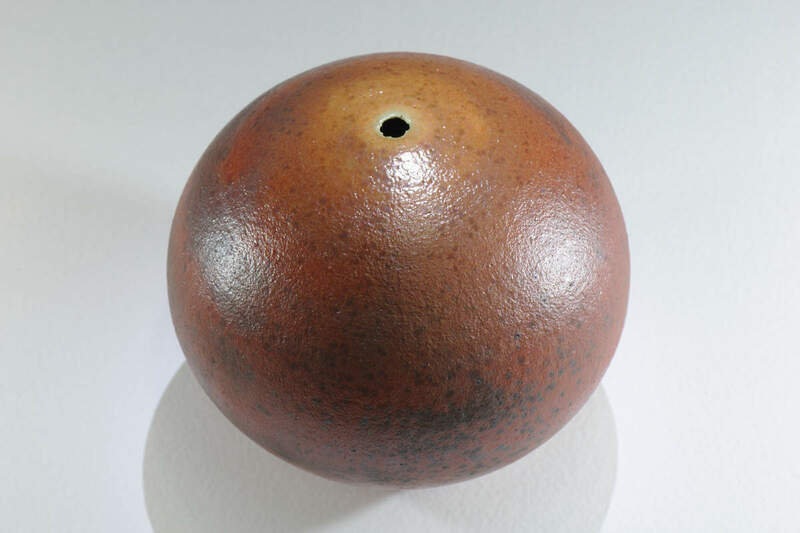 Vase 1 has the appearance of ripening fruit. I adapted the glaze used on these vessels substituting American with Australian ingredients. 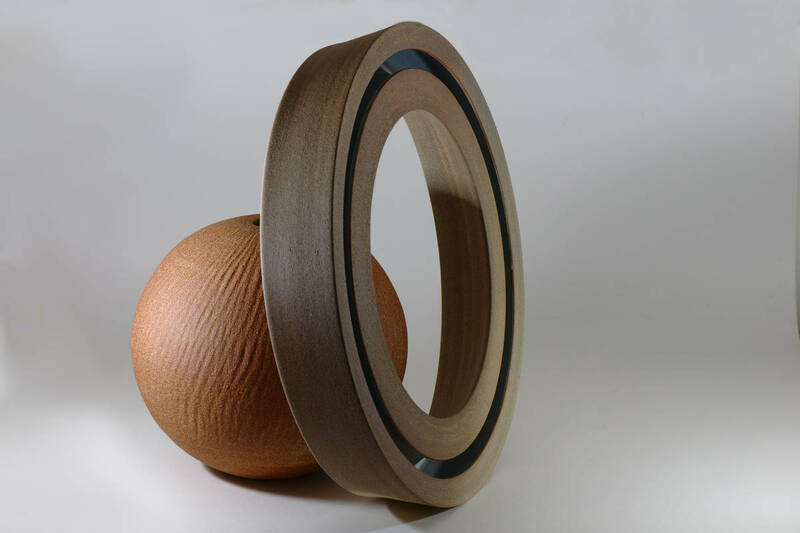 Carbon trap shino can be quite varied in appearance as it is very sensitive to firing conditions, thickness of application and clay body, the glaze appears quite differently on the Southern Ice porcelain cups I created in 2015. Once a piece has been thrown it is left to dry until the clay reaches the leather hard stage when it may be returned to the wheel for final shaping. A metal loop tool is applied to the surface as it spins to carve a foot ring or resolve the profile of the form in a process known as turning. 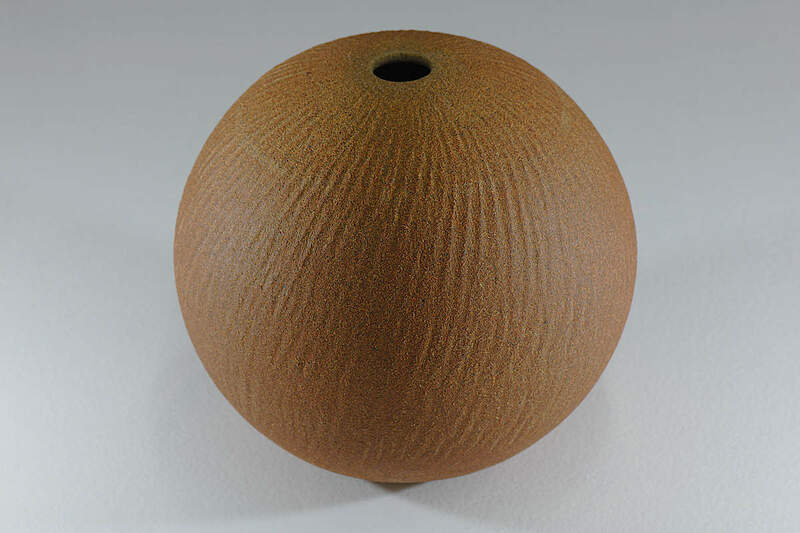 A certain combination of speed of spin, type and dryness of clay and amount of pressure applied can cause the loop tool to skip over the surface as it spins in a process known as chattering, this may be suppressed or encouraged to give a decorative textured surface. 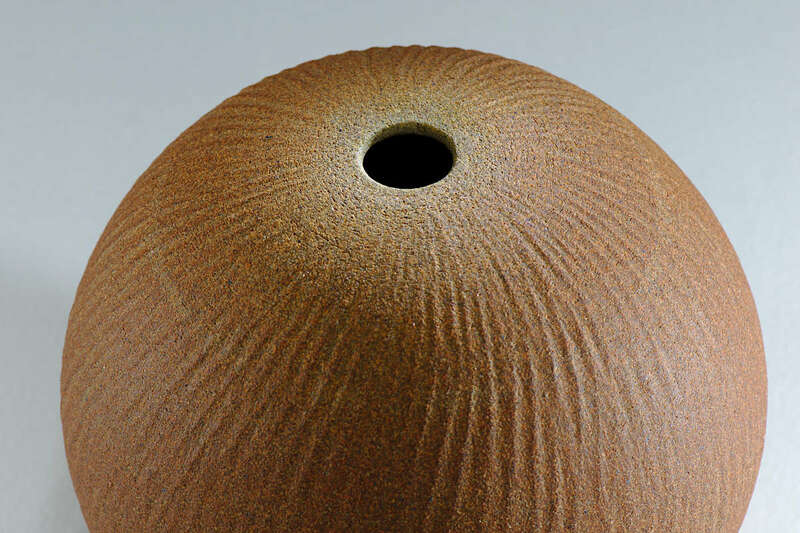 The surface of vase 3 was created in this way resulting in a texture not unlike the rippled surface of wet sand after the tide has gone out with the orange sandy clay reinforcing the effect.